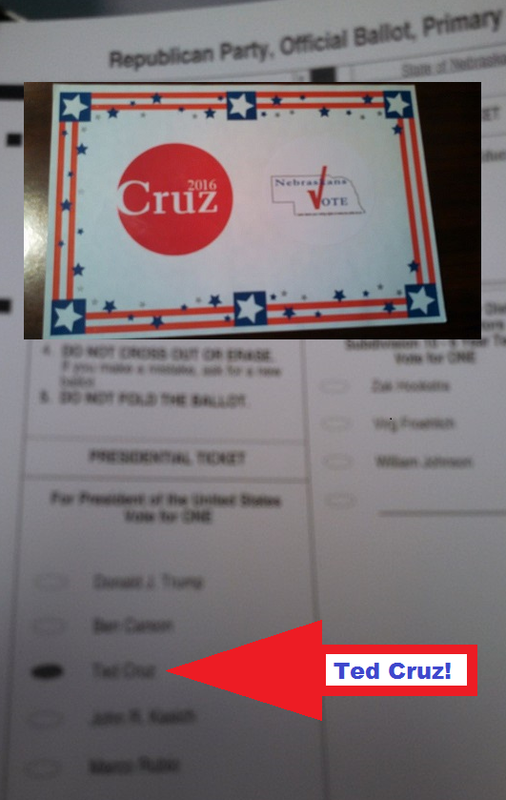 I just returned home from voting in the Nebraska Republican Primary. It may have been the last Republican Primary in which I'll vote. What happens in the presidential race over the next few months will ultimately determine what I'll choose to do. As someone who is part Conservative and part Libertarian ("Conservatarian") I wont remain a part of a party that has already spit in my face and stabbed me in the back for the past several years by telling me that they'll uphold Conservative principles and then turns around and funds Obamacare. (I could list 50 other examples, but that's not what this post is about.) And, now, with the likely nomination of the liberal pig known as Donald Trump as the Republican candidate, there will be virtually zero left for me within the Republican party with him as the defacto leader of the party. I'm not one that runs from a fight, in fact, if there isn't a "fight" to be had, I'm generally not at all enthusiastic about being a part of it. If the Republican Party chooses Trump as its nominee, they will have gone "full liberal." And, that's not a crowd I wish to stand alongside in any fight. If I wanted to fight for and with liberals, I'd be a member of the Democrat Party. As of today, I'm still a registered Republican...and, I like having a primary in which to vote. Since there are primarily only two viable parties in this state (and in the country), I really don't like the idea of letting other people pick my president by abstaining from the Republican primary altogether. So, I'm not sure yet what I'll do. But, I'm certainly leaning heavily toward LEAVING the Republican Party. After all, it left me a long time ago. I will wait until after the Republican National Convention in July to make my final decision. And, I may even wait until after the general election in November. But, I just wanted to put it "out there," that I'm seriously considering leaving the party. I know many others are currently struggling with this same decision.